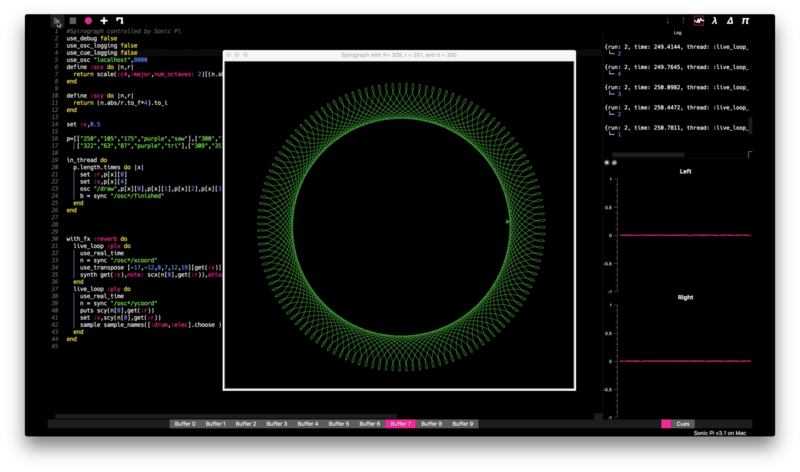 I have just completed a project which uses Sonic Pi 3.1 to control a python drawn spirograph, based on a python project by marktini on github. You can read an article about the project, which contains full details of the code employed and links to a video of the project in action here. 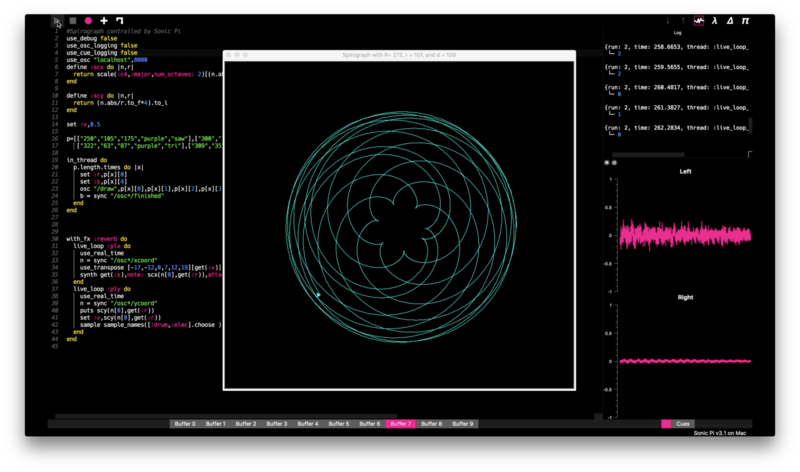 This entry was posted in News, Projects, Sonic-Pi and tagged spirograph by rbn2013. Bookmark the permalink.